“Why did I choose Gautier? 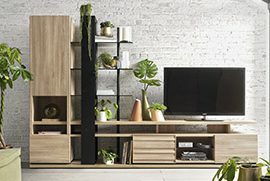 Strong positioning on the furniture market with remarkable value for money in terms of quality and design, a reassuring 10 year guarantee, and a welcoming and inspiring store concept. Finally, full support for GAUTIER teams throughout the project and on a daily basis once the business is launched. “Rebuilding a professional career beyond the age of 50 is not easy, and yet that’s exactly what we’ve managed to do in under 10 months. Let us tell you how we did it. Taking on a franchise seemed the most suitable and least risky solution for us, as long as we could find the right partner. That’s where everything got really easy! We found Gautier to be the ideal partner as it is a recognised brand with careful product positioning, an innovative concept and, most importantly, permanent support. “I’d always dreamed of independence but at the same time there is a fine line between independence and solitude. With Gautier, franchisees are independent but also have access to others’ expertise. So the fears surrounding such a project fade away. There is a professional to answer all your questions and provide support at every step. This partnership is extremely reassuring.